The NHF Sapphire Grant lifts some of the more restrictive qualifying guidelines found in most all California homebuyer assistance programs to date. The NHF Sapphire Grant is offered by the same organization that offers the CHF Platinum Home buyer Grant, but with a twist, says Scott Schang, Branch Manager Broadview Mortgage Long Beach. 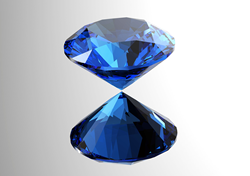 The Sapphire Grant is very similar to the CHF Platinum Grant in the sense that it’s available either as 3%, or 5% of the first loan amount, and can be used to cover either downpayment or closing costs. The only difference between getting a 3% grant and a 5% grant is that the interest rate is a little bit higher, adds Schang. The NHF Sapphire Grant has some special qualifying features that makes it stand out from any other assistance program currently available. Currently, the State of California offers many different programs that range from Grants, to low interest rates, to no interest loans with no payments for the life of the first mortgage. There are certain qualifying requirements that all of these programs have in common. The first thing they all have in common is that the maximum Debt to Income Ratio (DTI) is 45%, says Schang. This is one of the most exciting qualifying differences. If using the NHF Sapphire Grant, the Debt to Income Ratios are allowed to go up to FHA automated underwriting limits of 56.9%. This alone opens this homebuyer assistance grant up to a lot of folks that may have had challenges meeting the more strict requirement of existing programs. Another common qualifying requirement of all of the assistance programs I’ve listed above is that they require a minimum credit score of 620. The NHF Sapphire Grant will extend as low as 620 as the middle score of the lowest scoring borrower. Because the first mortgage is FHA, VA or USDA, the closing costs are not nearly as much as Conventional financing with credit scores as low as a 620.